Vintage shapes. Modern print fabrics. 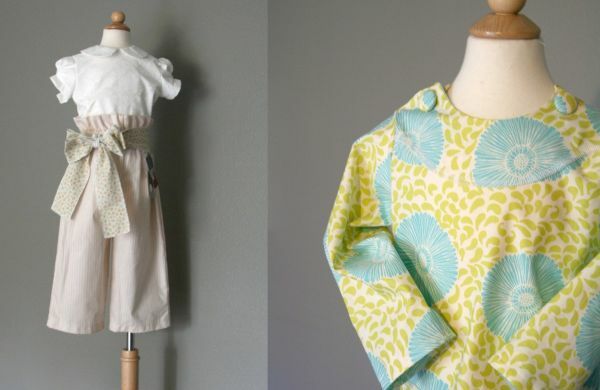 Together they make gorgeous clothes at Vintage Child Modern. 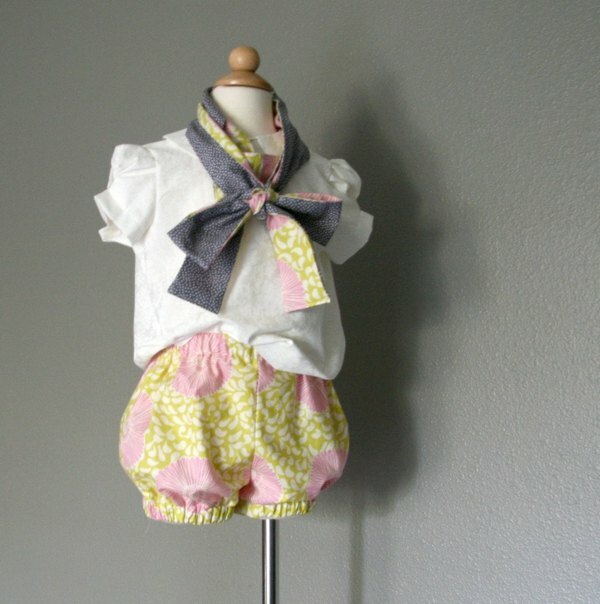 Using traditional styles, designer Brianne Wallis has created a collection for a super-stylish playtime. Reversible capes, rompers in orange floral, bloomers with bows and A-line dresses dominate the superb collection. Small details add flourish – patterned sashes, cloth-covered buttons and ‘infinity scarves’ are clever additions with a difference. Most of the designs are available in a choice of fabrics, which makes choosing all the more difficult! 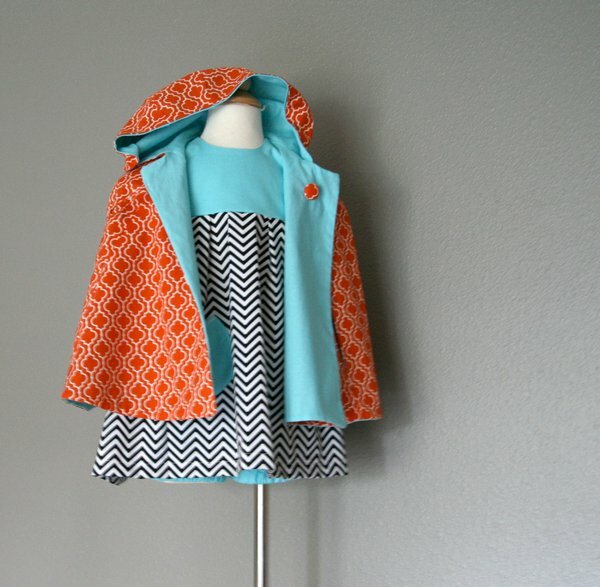 My weakness for capes well and truly kicked in when I spotted two choices – a black and white geometric print teamed with plain turquoise fabric (stunning) or an orange print teamed with turquoise (equally stunning)! 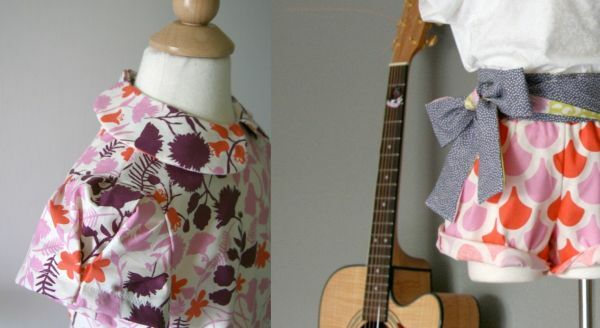 Clothing ranges from US$39.50 to $US$98.50 and sashes, scarves and bows range from US$14 to US$28. Vintage Child Modern ships internationally.